BluestoneLogic is committed to contributing to the local and national community. We support a number of charities that we believe strengthen the community and provide hope. Giving is a priority here at BluestoneLogic and has been since our founding in 2010. We are proud to contribute to the following charities and urge you to join us in doing so. The Virginia Hospital Center Foundation was founded in 2007. The foundation offers cumulative support including funding new technology, providing care for low-income and uninsured children, scholarships, and more. The foundation raises funds to help ensure that the Hospital has the resources needed to continue to provide the highest-quality healthcare offering the most advanced medical technology, and providing care to all in need regardless of their ability to pay. 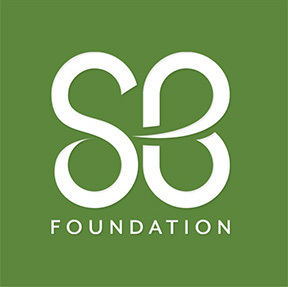 St. Baldrick’s Foundation was founded in 1999. The foundation is a child cancer charity that determines the most promising research to fund and create funding priorities to make the greatest impact for children with cancer. One of their efforts includes the world’s largest head shaving program to provide solidarity for patients who lose their hair. Hope for the Warriors was founded in 2006. The nonprofit organization provides comprehensive support programs for service members, veterans, and military families that are focused on transition, health and wellness, peer engagement, and connections to community resources. Hope for Warriors’ signature event is Run for the Warriors that includes a number of races. Donors choose was founded in 2000 by a public school teacher, and has been given Charity Navigator’s highest rating every year since 2005. The non-profit organization empowers public school teachers to request necessary materials and experiences for their students and allows individuals to donate directly to public school classroom projects. Martha’s table is a non-profit organization founded in 1980. The program offers food, education, and opportunity programs for vulnerable children and families. The Christopher Carver foundation was founded in 2010 in memory of Chris Carter. The foundation partnered with the Virginia Hospital Center to promote the prevention, early detection, and management of diabetes. Children’s National is one of the nation’s first exclusively pediatric hospitals. Through donations Children’s National is able to ensure that every child receives the same level of care regardless of their ability to pay. Providence Hospital Foundation is a nonprofit organization dedicated to raising funds to support the greatest needs of Providence, a member of Ascension Health providing health care to the people of the national capital area. The American Heart Association is a nationwide, non-profit organization that fosters appropriate cardiac care in an effort to reduce disability and deaths caused by cardiovascular disease and stroke.